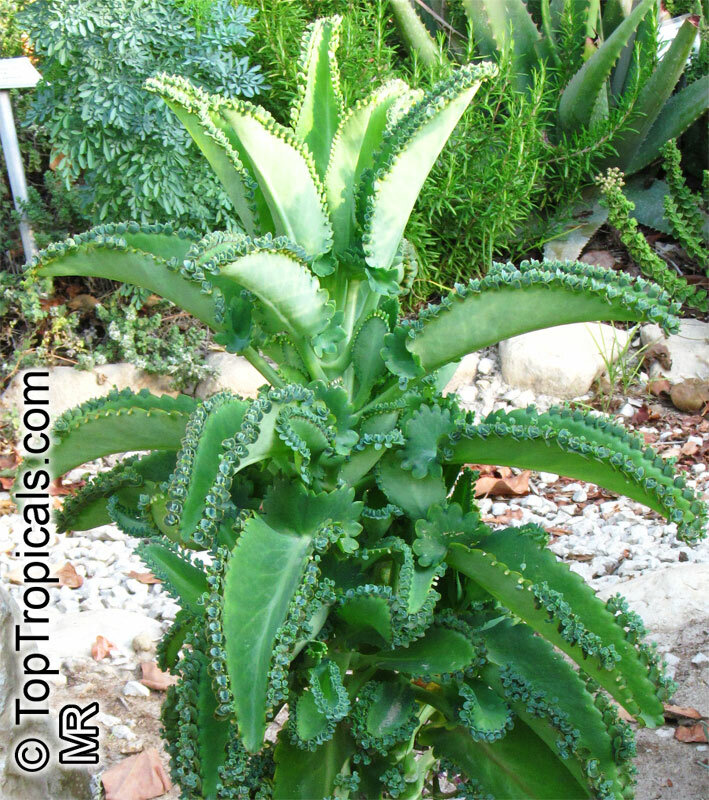 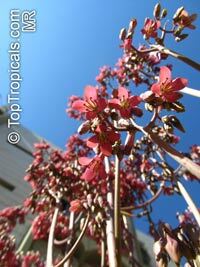 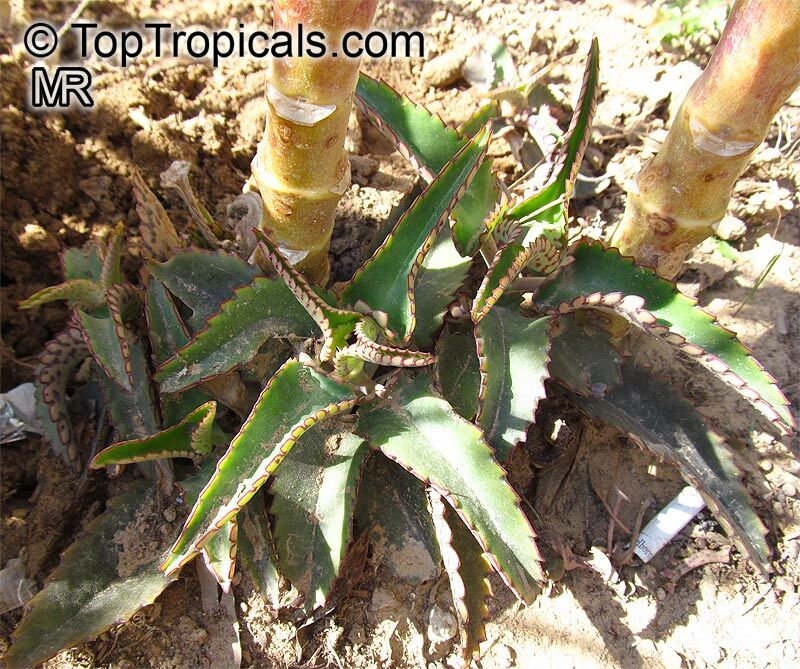 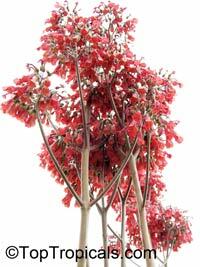 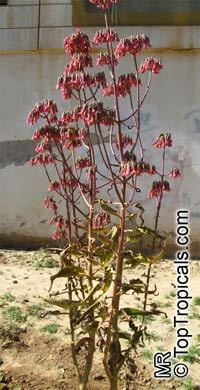 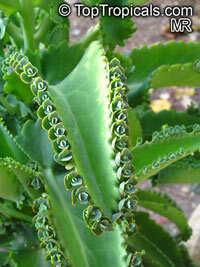 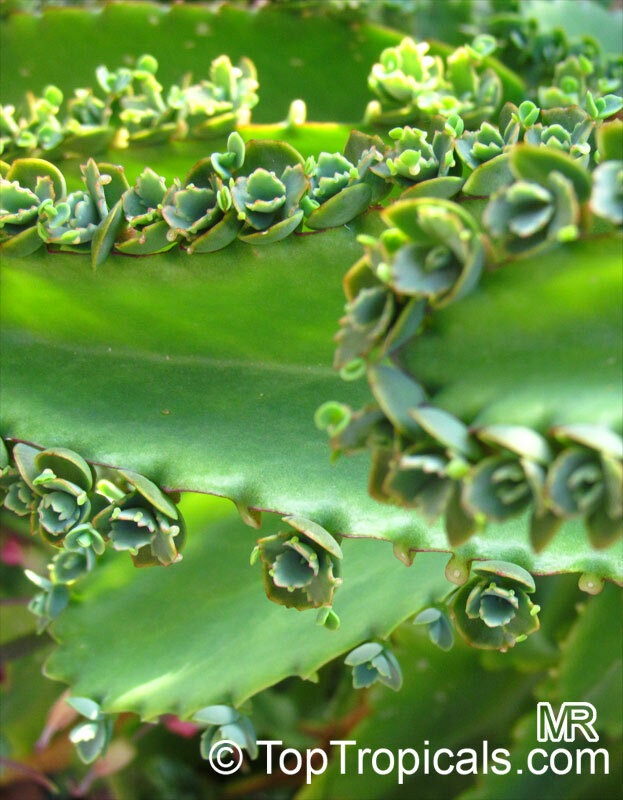 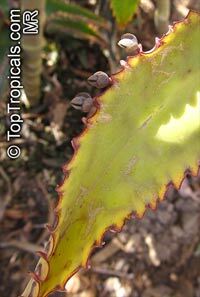 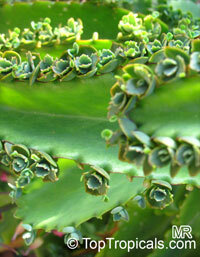 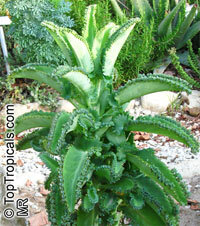 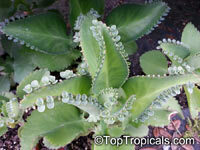 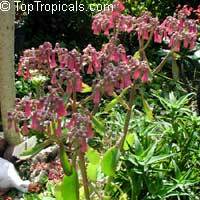 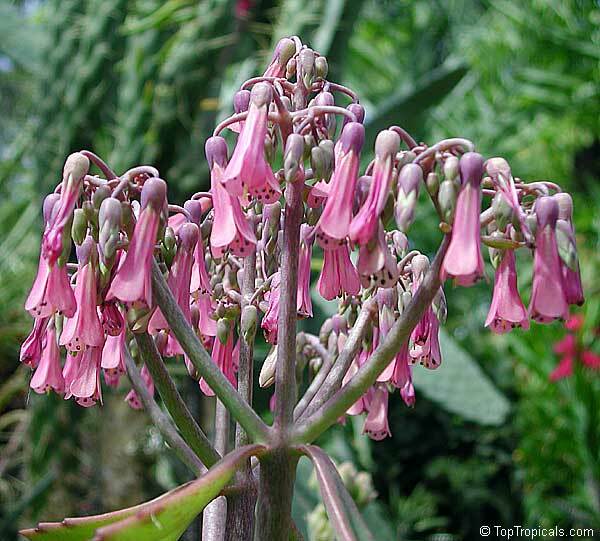 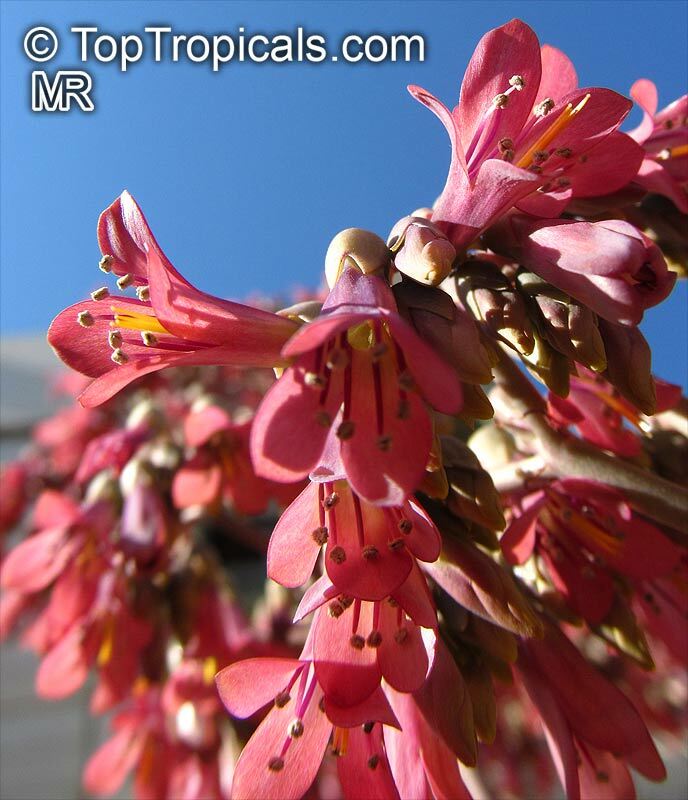 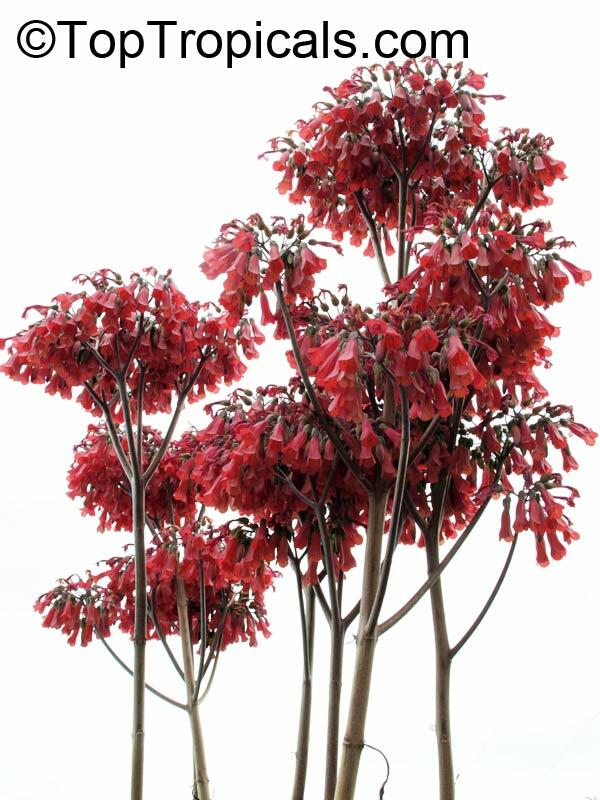 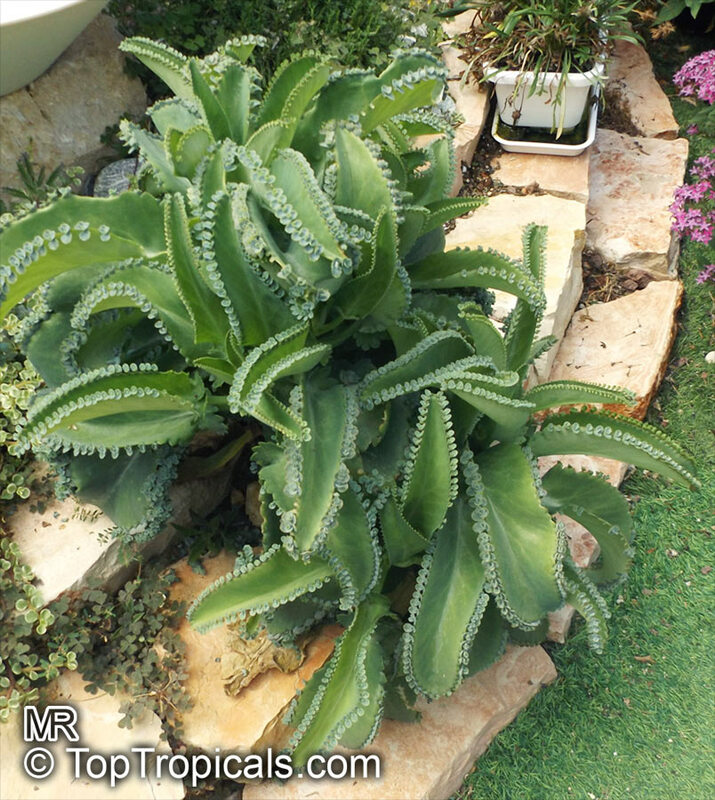 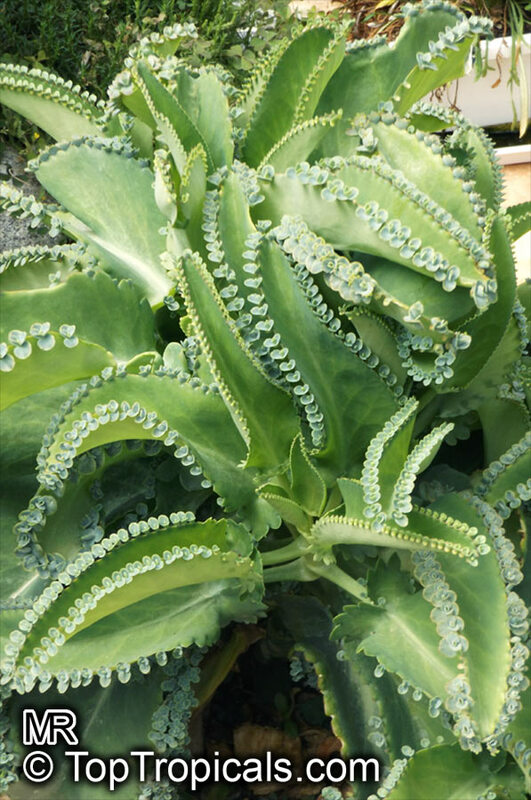 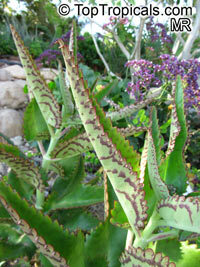 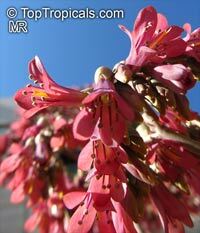 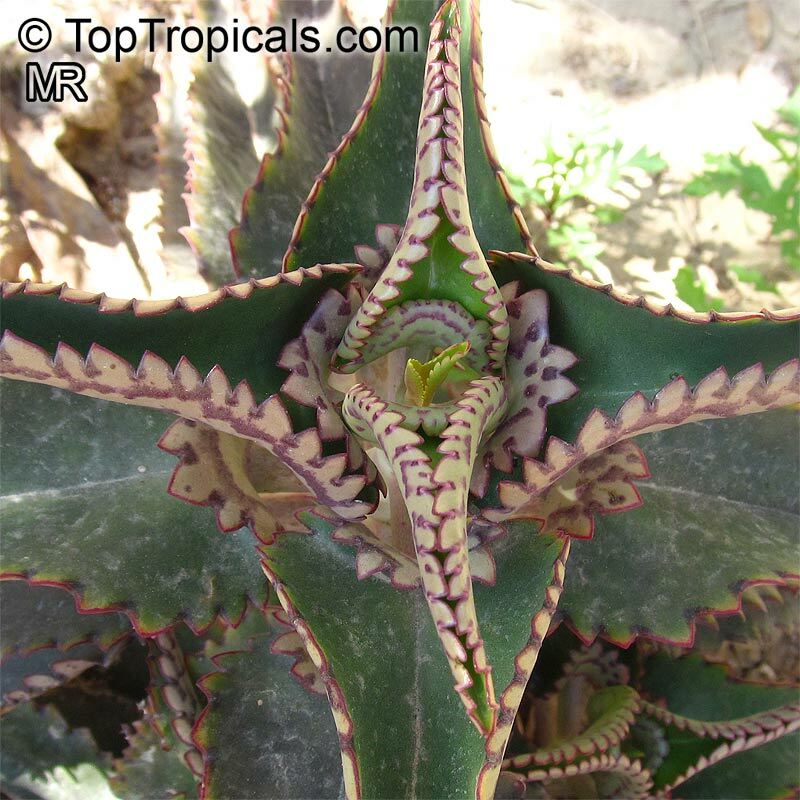 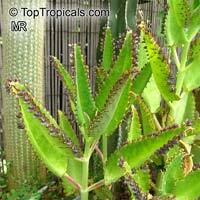 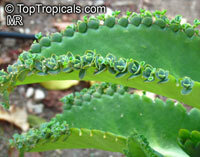 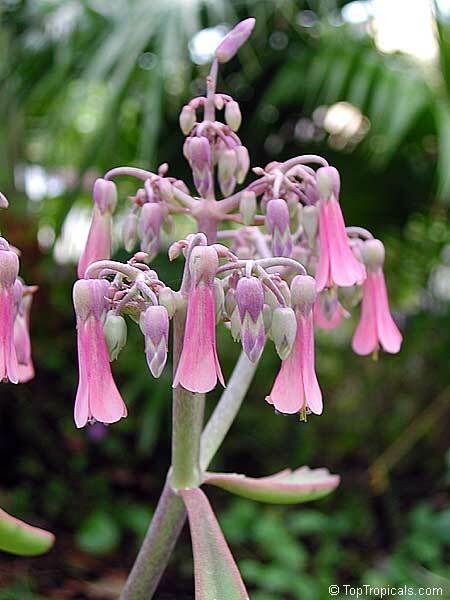 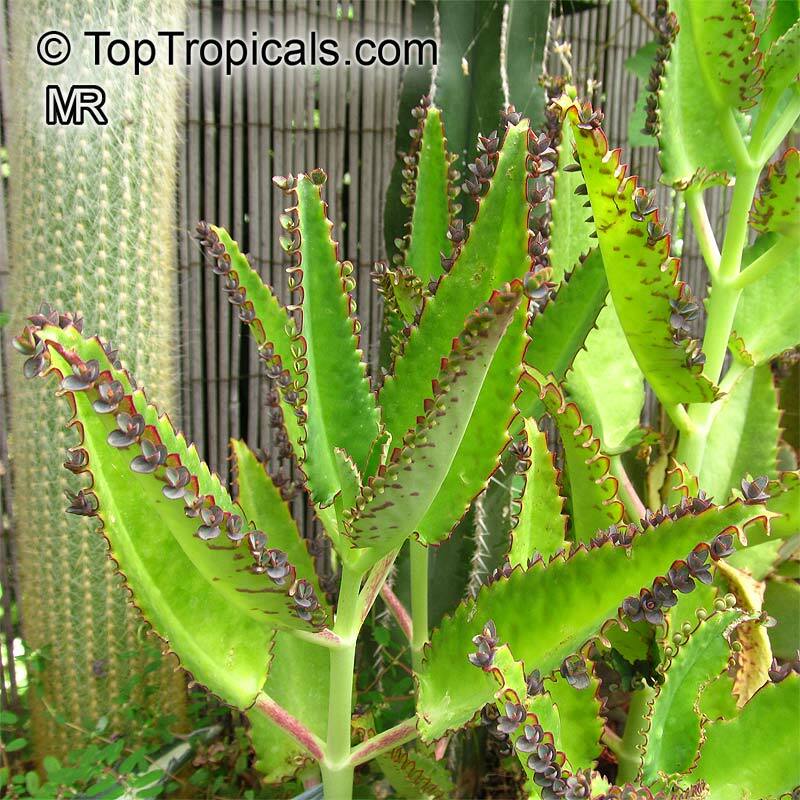 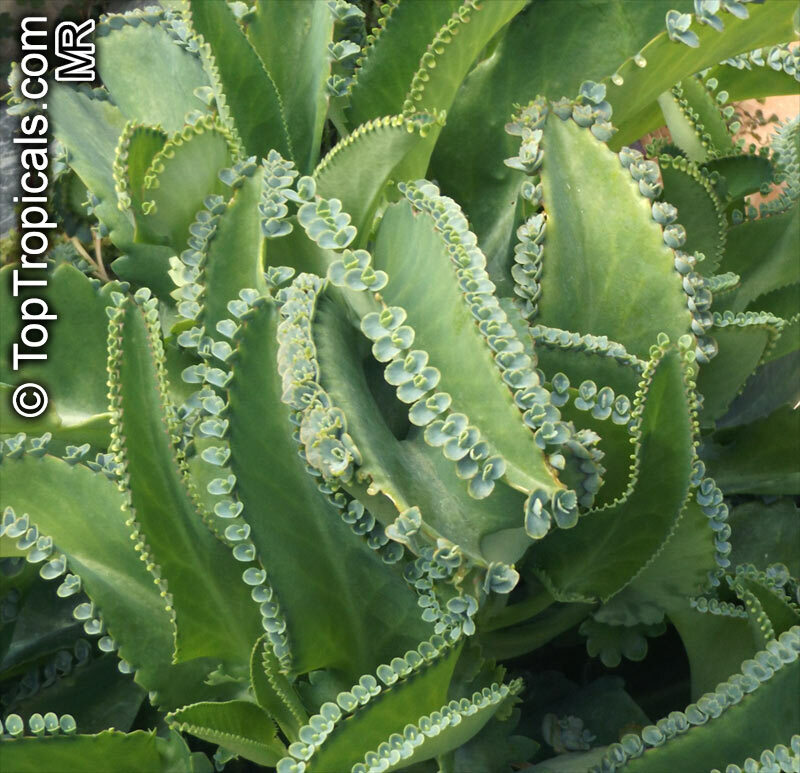 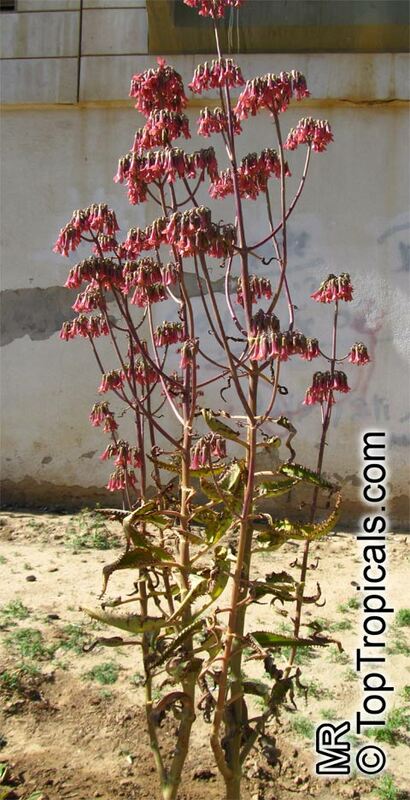 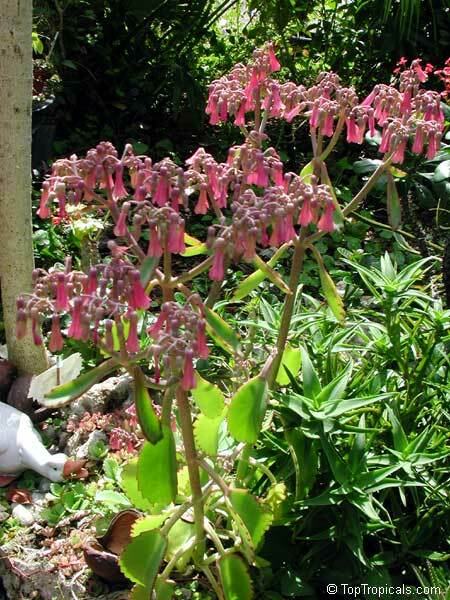 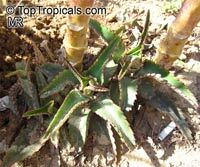 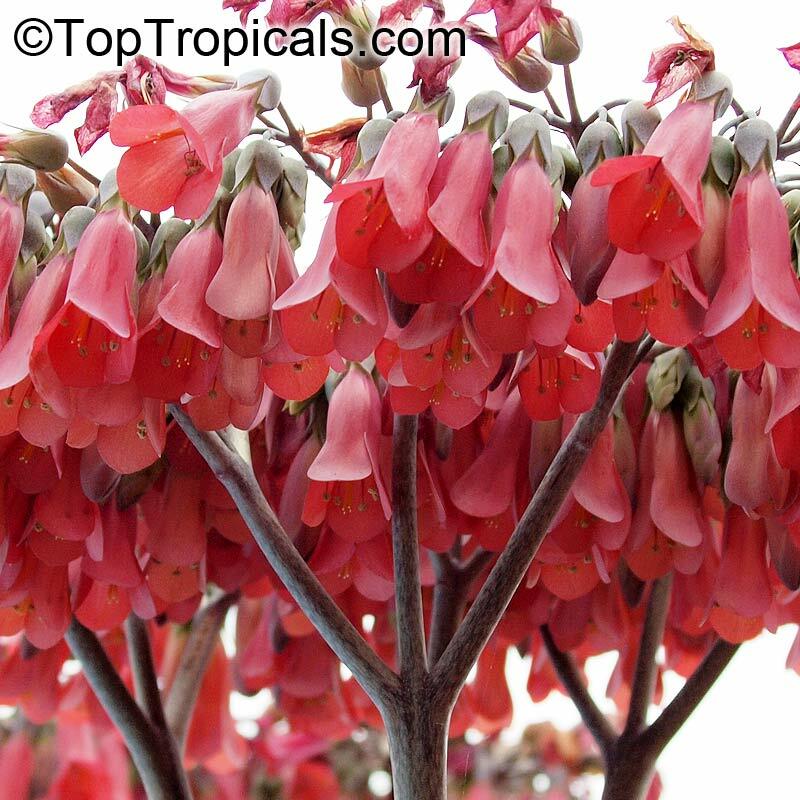 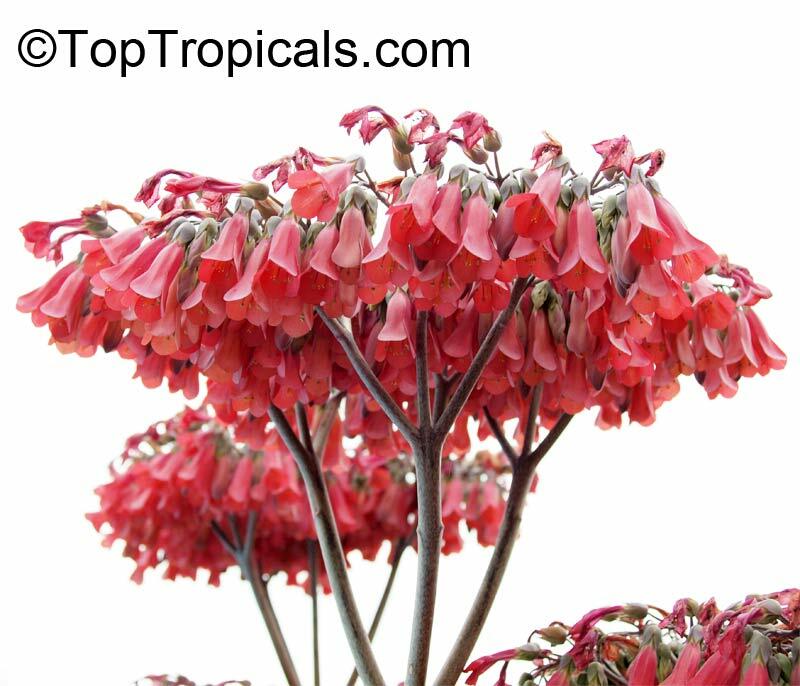 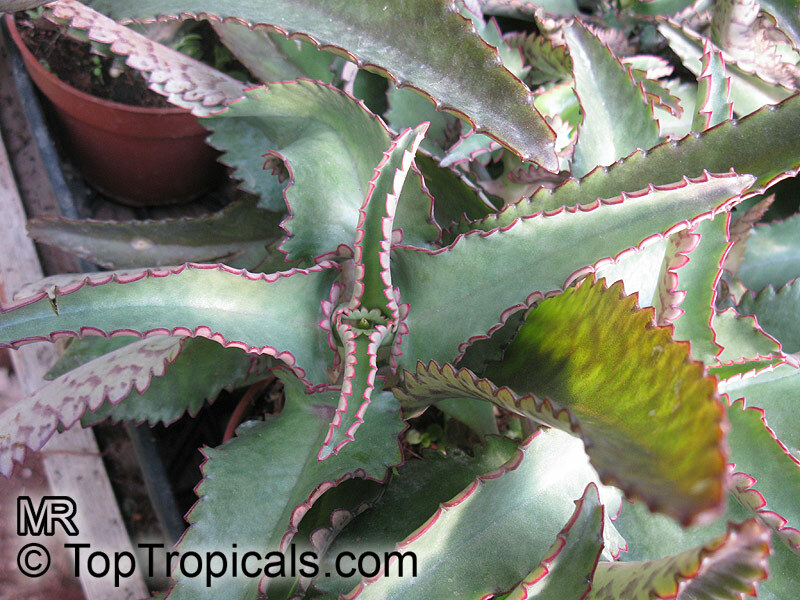 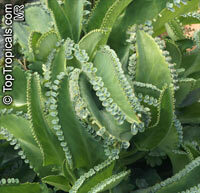 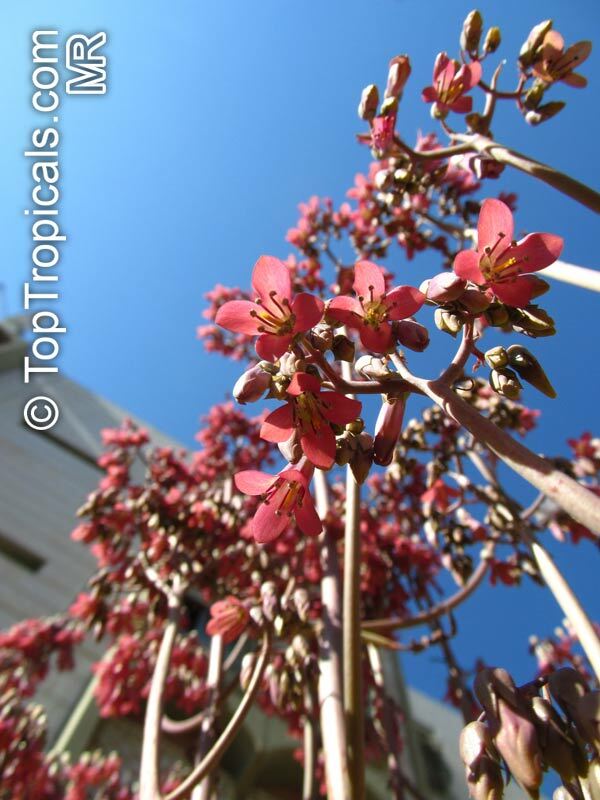 Several species of Kalanchoe may be found growing as houseplants in Canada and the USA. 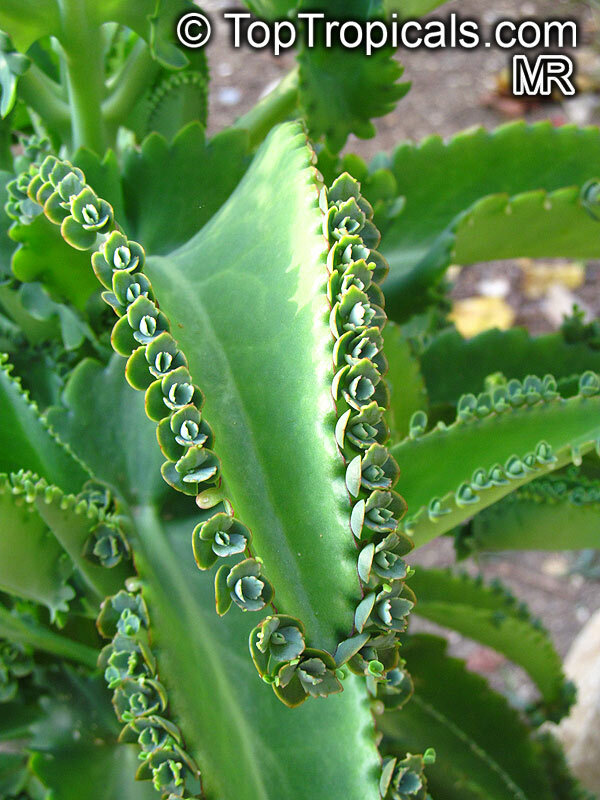 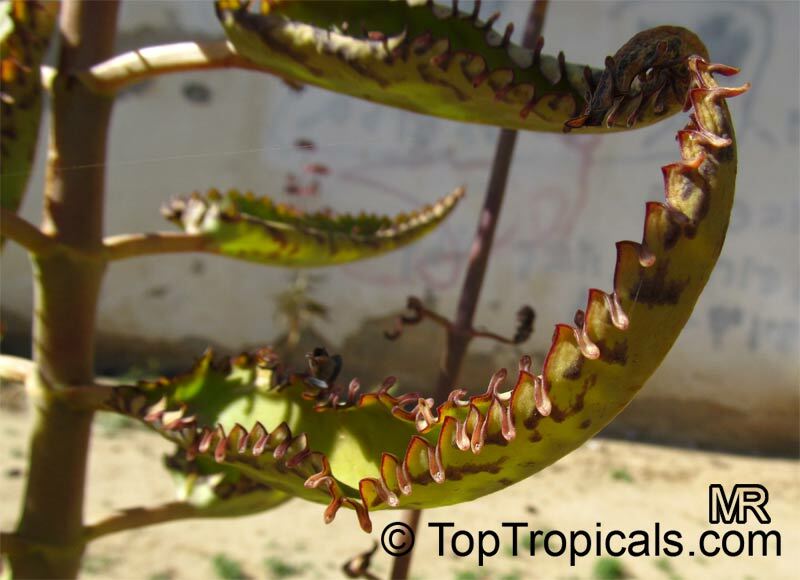 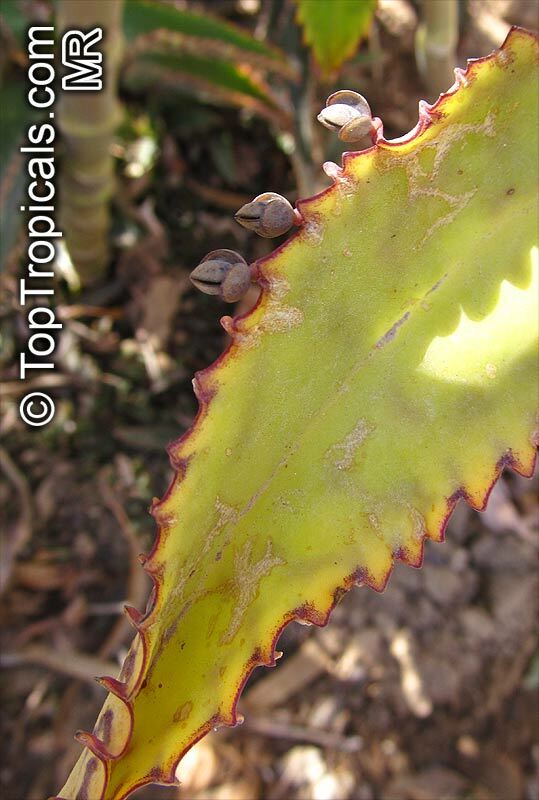 The young plantlets which grow along the leaf edges are easily dislodged to become new plants and can be found in profusion around the base of the adult plant. 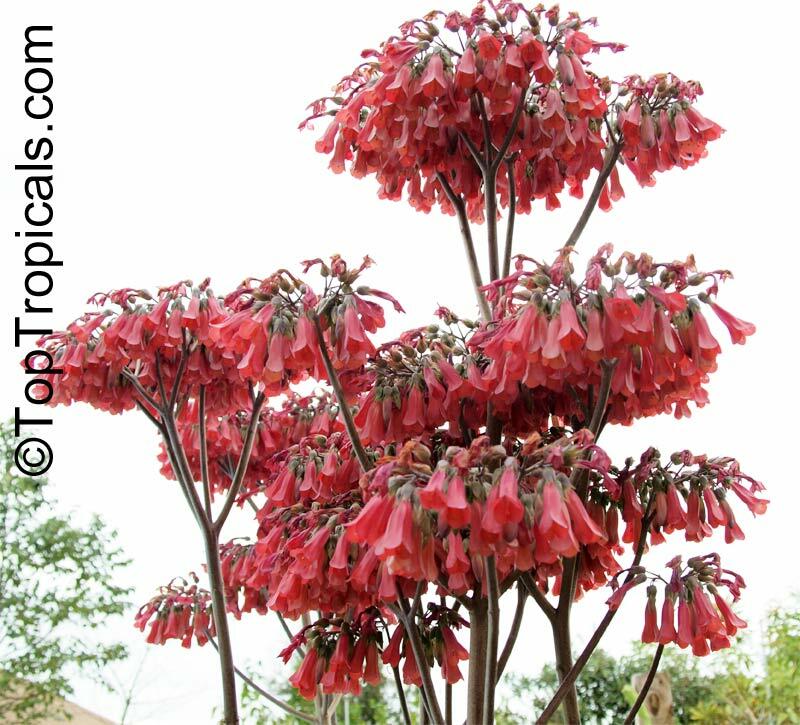 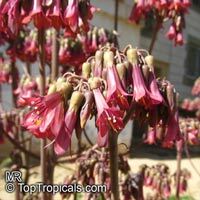 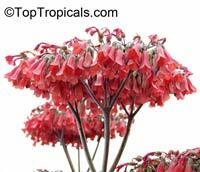 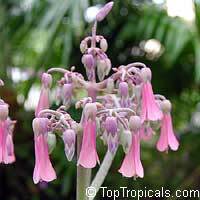 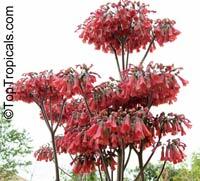 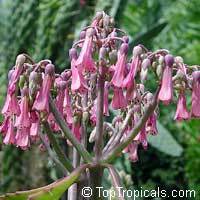 Blooms with showy bright pink bells. 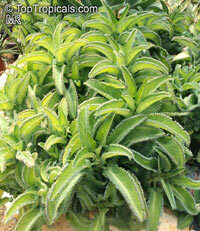 Easy to grow, tolerates drought and almost any conditions.